Goalkeeper knee protection and padding for hardground and turf. 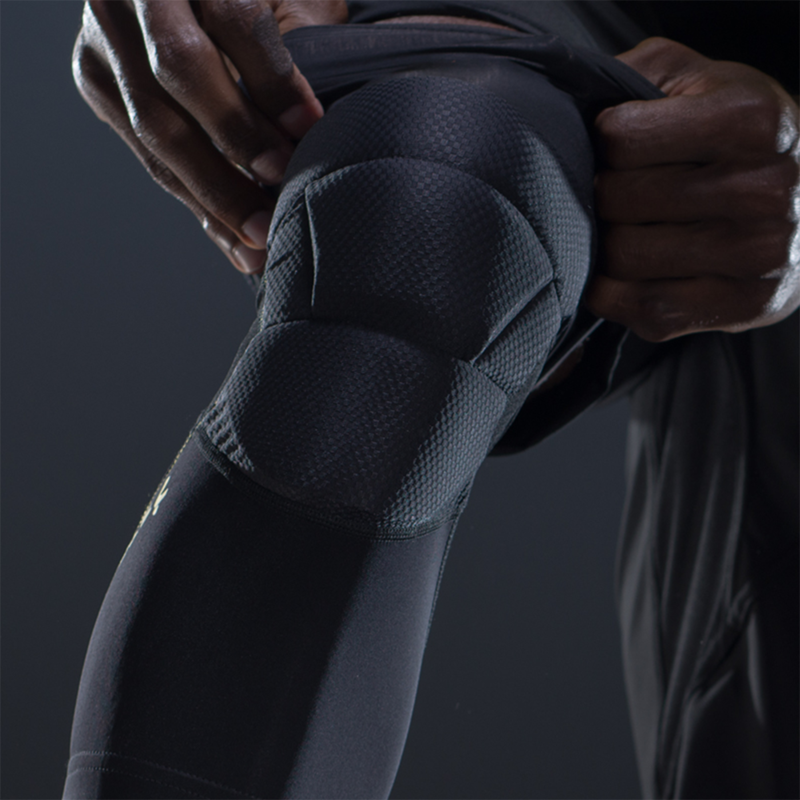 Yes, these knee guards are designed to be worn as a base layer. They feature an anti slip lining that works best when it is in contact with skin. Tighter fit. 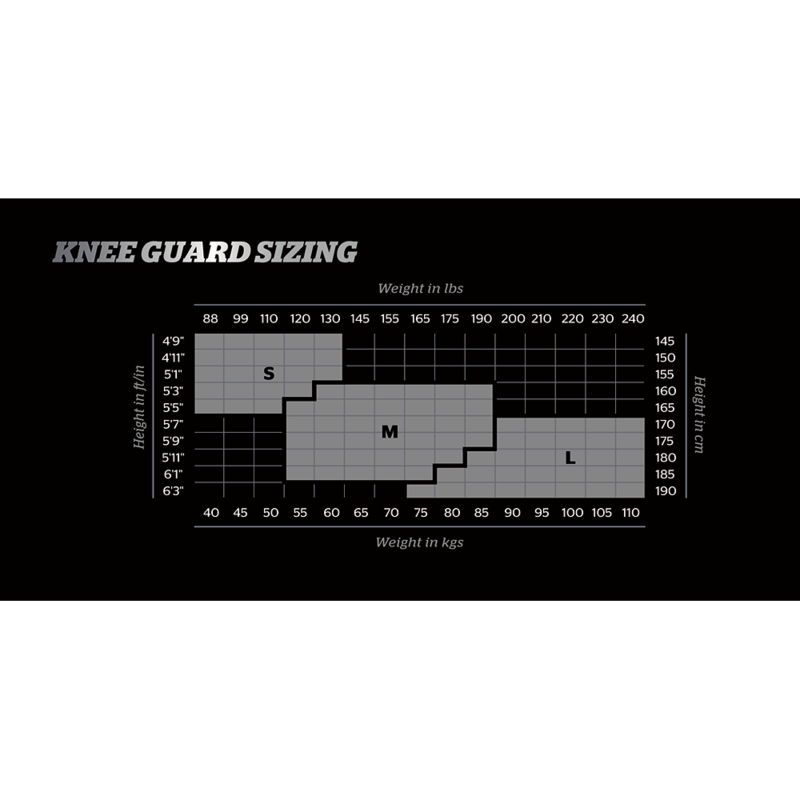 Goalkeepers with thicker muscular legs, calfs, and quads you may want to consider going up a size. Storelli's awesome Poron padding offers high resistance against impact and abrasion, whilst being extrmemly light weight. 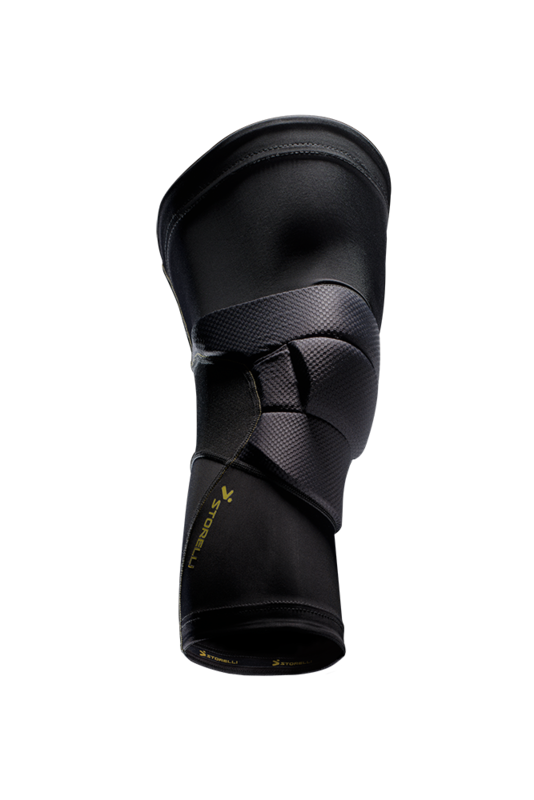 These bad boys are designed to withstand a beating whilst leaving you injury free to enjoy time after the game! Poron is a military grade foam that has been combat tested. It can be found in military grade helmets. It is extremely light weight, flexible and offers resistance to high impact contact. The foam is anti microbial to combat odor and very sleek so it can be worn seamlessly with other goalkeeper equipment. Poron and breathable base layer fabric. 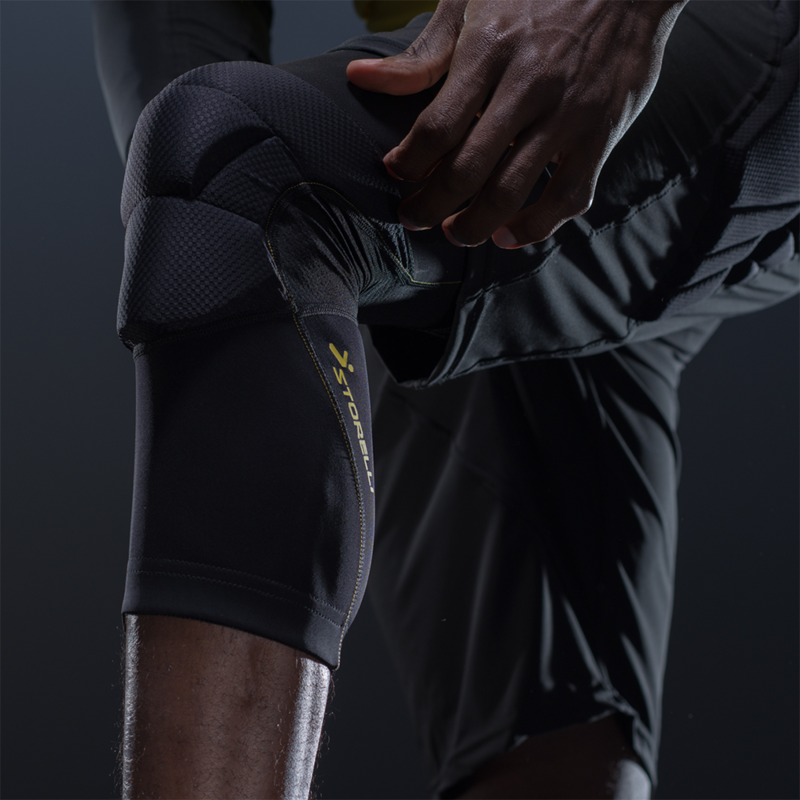 The material is extended to cover part of the upper calf and lower thigh to give even more protection! My daughter loves these knee guards when she plays indoors for extra protection. She has also found another use for them. She plays basketball she loves wearing them for that also. They stay in place and are very comfortable to wear. The products from Keeperstop are always solid but more importantly, the guys who run the show completely understand customer service and the buying experience is always a positive one! So I had ACL reconstruction last year and just got back to playing a couple months ago. I used a Mueller brace with hinges for protection and stability but it was too bulky for me as a keeper. It wasn't really comfortable either, but it was a given since it wasn't designed for playing. 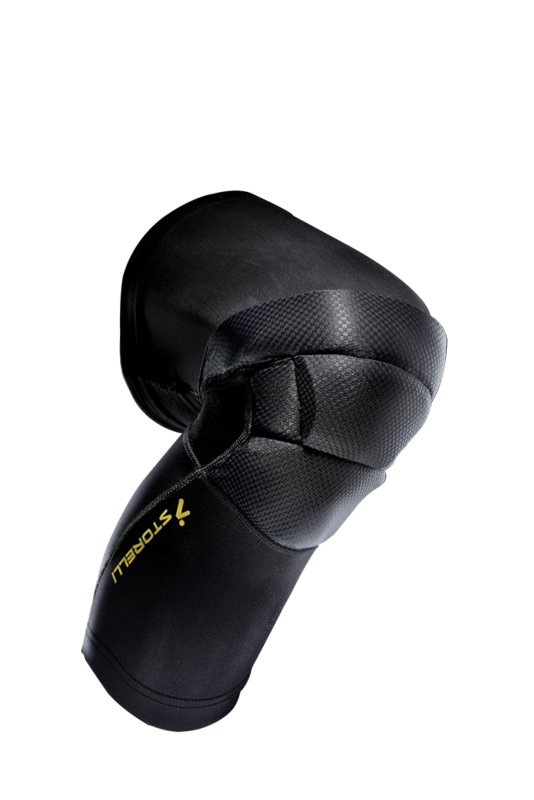 So I happen to come across this site while looking up keeper drills on youtube and see they were selling these knee guards. For $40 it was the best investment I've made for my knees. Although they're compression I didn't even feel I had them on in my outdoor game. I slid, dove, tumbled on them and they stayed well intact. I'm amazed by how resilient the material is and how comfortable they are during game play. 5 out 5 for me. Excellent protection even on the hard wood floors playing futsal. Never felt a thing which was surprising given the light weight padding. No restriction in movement wearing these pads. Top section tends to slip down but I believe after I wear them in a bit they will sit perfectly. So comfortable and gives me more confidence to dive on the hard wood floors.